Eight luxurious rooms with their own unique charm located on the downtown square. These new rooms are located one block away from the Inn on the courthouse square with elevator access. Each of our downtown Anderson rooms feature plush linens, luxurious bath robes, premium bath amenities, flat screen televisions, in-room coffee makers, mini refrigerator, wireless internet, and more. 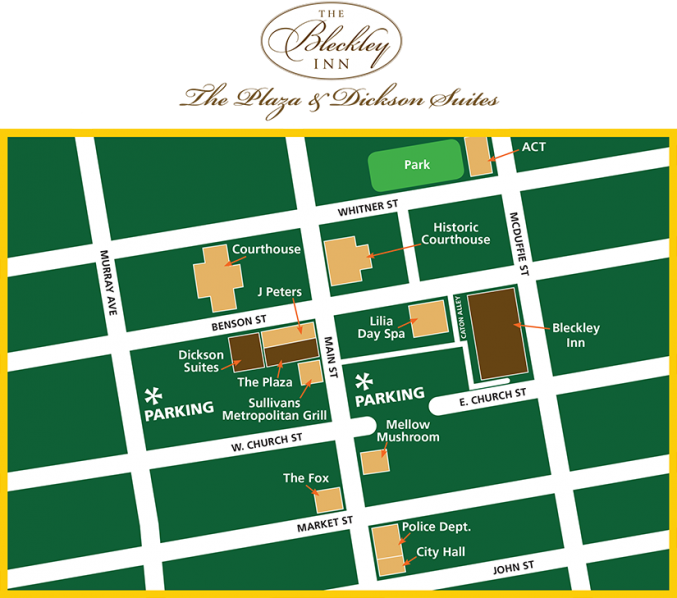 Check in for the Plaza Rooms is in our Main Building at 151 East Church Street, we will give you directions and information on parking from there to get to our Plaza Rooms on Main Street. The Plaza rooms have street access from Main Street via an elevator controlled by your key card. If you require assistance with luggage please let our front desk know in advance, a loading zone and luggage cart are available.